The Vaidyaratnam Ayurveda College and hospitals are part of the legendary Vaidyaratnam Group established in the Ashtavaidya tradition of Ayurveda. The College was established in the year 1976, by the great visionary, the late Ashtavaidyan Padmasree E.T. Neelakandan Mooss. Prof. P.V. Devassia, the first Principal of the College as well as eminent personalities like Sri. A.P. 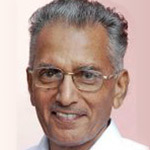 Nambiar, Sri. M.P. Antony, Sri. 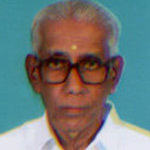 E. Sekhara Warrier, Sri. T.N. Seshadrinatha Iyer, Sri. P.S. Warrier and Sri. P. Madhavan Namboothiri contributed immensely during the inception and early stages of this prestigious educational abode.